Despite great advances in public health worldwide, insect vector-borne infectious diseases remain a leading cause of morbidity and mortality. Diseases that are transmitted by arthropods such as mosquitoes, sand flies, fleas, and ticks affect hundreds of millions of people and account for nearly three million deaths all over the world. In the past there was very little hope of controlling the epidemics caused by these diseases, but modern advancements in science and technology are providing a variety of ways in which these diseases can be handled. Clearly, the process of transmission of an infectious disease is a nonlinear (not necessarily linear) dynamic process which can be understood only by appropriately quantifying the vital parameters that govern these dynamics. 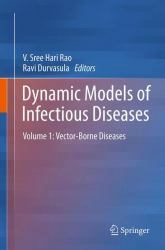 The following aspects are associated with the modeling of the dynamics of infectious diseases: · Disease transmission dynamics · Predictive dynamics · Control dynamics · Relapse dynamics · Transformation of experimental results from closed (laboratory) environment to open (real world) environment Dynamic Models of Infectious Diseases - Vector Borne Diseases , presents a self-contained account of the dynamic modeling of diseases of vital importance transmitted by insect arthropods. 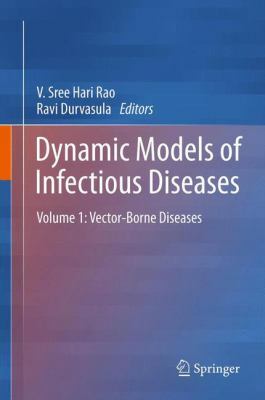 Key Features: · A thorough discussion on the design of effective disease control strategies · Presents a variety of predictive dynamical models for disease transmission · Provides an accessible and informative over view of known literature including several clinical practices · Exemplifies the role of information technology as a problem solver aiding effective early diagnosis and disease management · Demonstrates the importance of intelligent systems approach to decision-making in an interesting mix of domains - bioinformatics, health sciences, and infectious diseases · A variety of IT-based tools for surveillance and control of both vectors and disease transmissionThis book is ideal for a general science and engineering audience requiring an in-depth exposure to current issues, ideas, methods, and models. The topics discussed serve as a useful reference to clinical experts, health scientists, public health administrators, medical practitioners, senior under graduate and graduate students in applied mathematics, biology, bio-informatics, epidemiology, medicine, and health sciences. This book is ideal for a general science and engineering audience requiring an in-depth exposure to current issues, ideas, methods, and models. The topics discussed serve as a useful reference to clinical experts, health scientists, public health administrators, medical practitioners, senior under graduate and graduate students in applied mathematics, biology, bio-informatics, epidemiology, medicine, and health sciences.